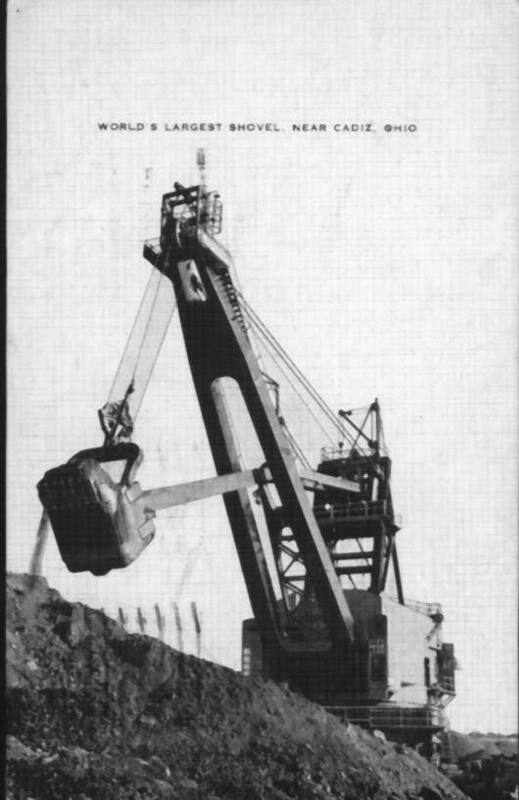 Many of the large draglines and stripping shovels that have worked the coalfields of america have become "Local Celebrities", often drawing tourists and sightseers wanting to catch a glimpse of them. Realizing the economic opportunities that these machines present, many local merchants have capitolized on their appeal by having postcards printed . Here are a few of the postcards I have collected which feature these machines. 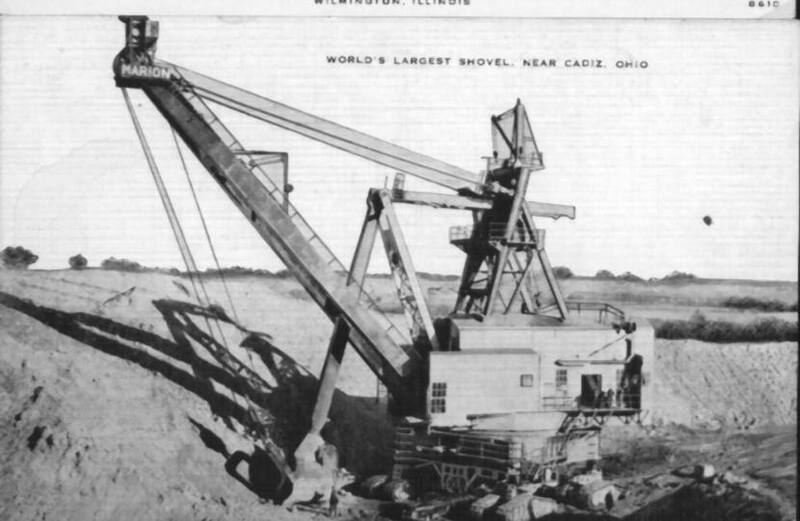 The folks around Cadiz,Ohio are no strangers to BIG machines, many of the stripping shovels that have worked the area have, at one time, held the title of "THE WORLDS LARGEST"